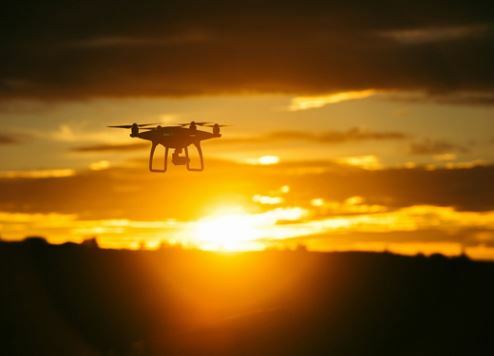 Dubai Municipality has launched a new aerial survey service for property firms and other land developers using drone technology. It provides real estate companies, consultants and contractors with detailed data of rectified orthophotos, topographic maps with up to 200 times better clarity than the maps by conventional surveys, contour maps, and 3D points for large-scale projects with vast spaces and rocky geography. They all take 88 percent less time to conduct than traditional surveys, the civic body said in a press release. Speaking at the launch of the technology, Dawood Al Hajiri, assistant director-general of Dubai Municipality for Engineering and Planning Sector, said the new service underlined the pioneering role of Dubai Municipality in implementing the concept of ‘Happy Dubai’. The Survey Department also unveiled the design of a smart app, which drives efficiency for developers, contractors, construction consultants, land owners, government and semi-governmental institutions. Known as “Kharetati” (My Map), the app enables mobile customers to request access to land maps without having to visit Dubai Municipality offices. They are only required to enter the plot number and identity card to gain access. Recent improvements to the smart app have helped reduce transaction times by 67 percent. At the same time, the number of documents required to complete transactions has been cut by 79 percent and the number of mandatory fields required has been reduced by 75 percent. The app has also led to a reduction in the number of government agencies required to complete procedures. When it comes to submitting a request, the number of agencies involved has fallen from three to zero. Kharetati and the new drone technology are two of many smart initiatives being rolled out by Dubai Municipality to improve customer service and satisfaction across every department. It’s all part of Dubai’s mission to hit ambitious ‘happiness’ targets for its residents and visitors.